Audrey Hepburn knew what she was talking about when she said ‘Paris is always a good idea’. There isn’t really a bad time of year to visit the French capital. But for me you can’t beat Paris in autumn. Crisp cool sunny days, crunchy golden leaves underfoot, steaming cups of hot chocolate, new exhibitions and wine festivals. What could be better? A few years back I spent six weeks house-sitting in Paris in autumn and fell in love with the city at this time of year. 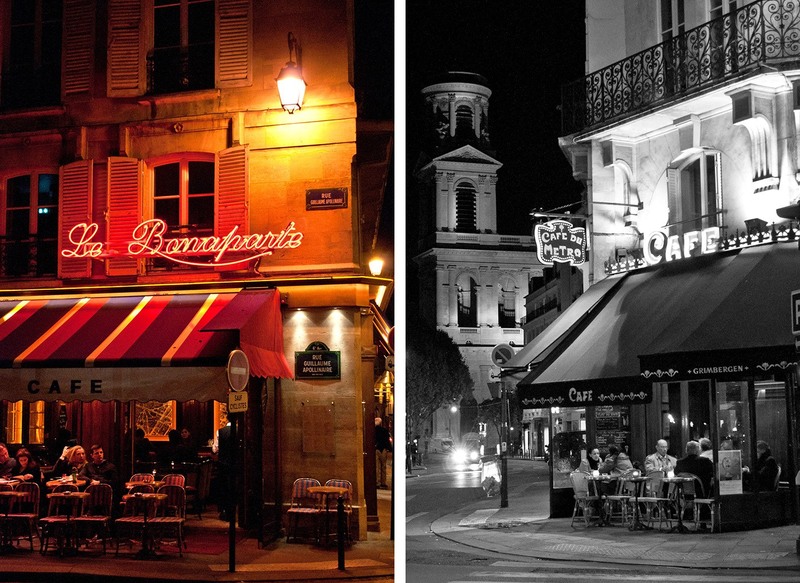 The réntree – the re-entry – is when Parisians come back to the city after summer at the coast. Businesses reopen and Parisians claim the city back from the tourists. It’s Paris’ second new year, when it wakes up from its summer slumber and gets back to work. But what are the essential experiences in Paris in the fall? 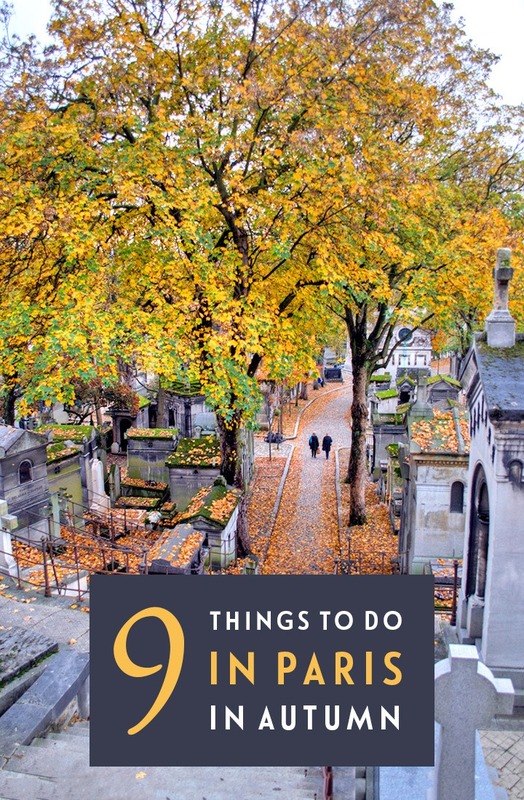 Here are nine of the best things to do in Paris in autumn. 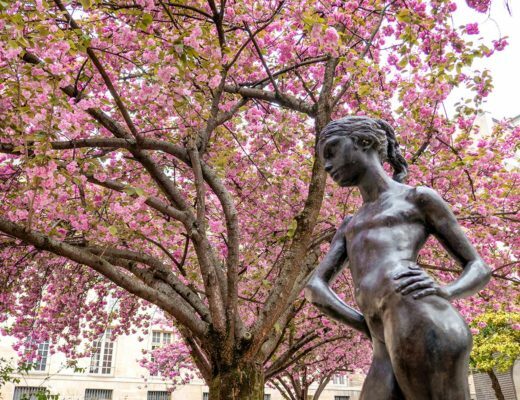 Read more: Things to do in Paris in spring and winter. What’s Paris’ autumn weather like? The weather in Paris in the autumn can be quite variable. 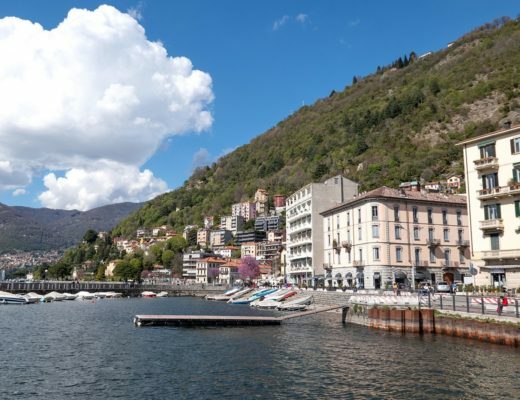 Average temperatures range from a high of 17°C (62°F) to a low of 8°C (46°F). It’s not uncommon to get warm, sunny days in early autumn but the evenings can be cool, so pack some extra layers. And there are often a few showery days too, especially in November, so bring a light rain jacket or umbrella. Autumn adds another dimension to an already beautiful city. The Seine is extra atmospheric at dawn or dusk on crisp, cool autumn days, when a fine mist hangs over the water. Along the river bank you’ll find street stalls with roasting chestnuts sitting next to the bouquiniste booksellers. 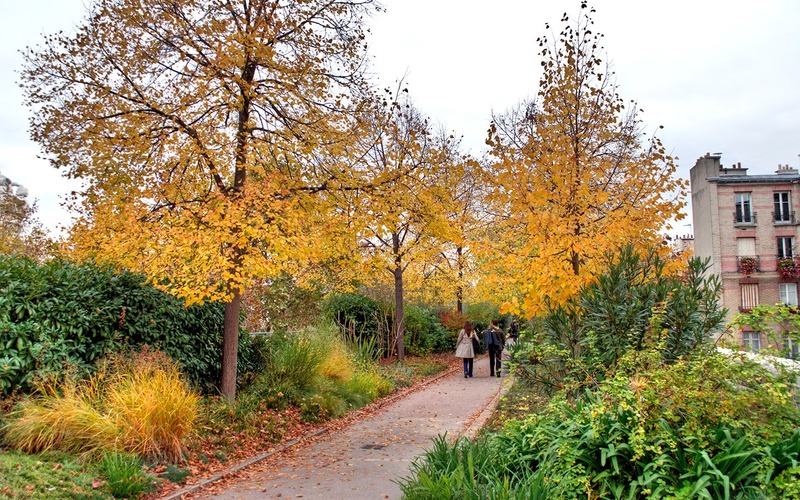 But for the best Parisian autumn colours you need to head to one of the city’s parks. Grab a takeaway crêpe, wrap up with a cosy coat and scarf, and take a walk. The Jardin des Tuileries and Places des Vosges both have fabulous foliage, but my favourite autumnal haunt is the Luxembourg Gardens. It’s Paris’ largest public park with over 22 hectares, so you’ll have no trouble finding a pile of leaves to kick through. Paris heads outside when the sun’s out, with old men playing boules, children playing and couples snuggling up to stay warm. 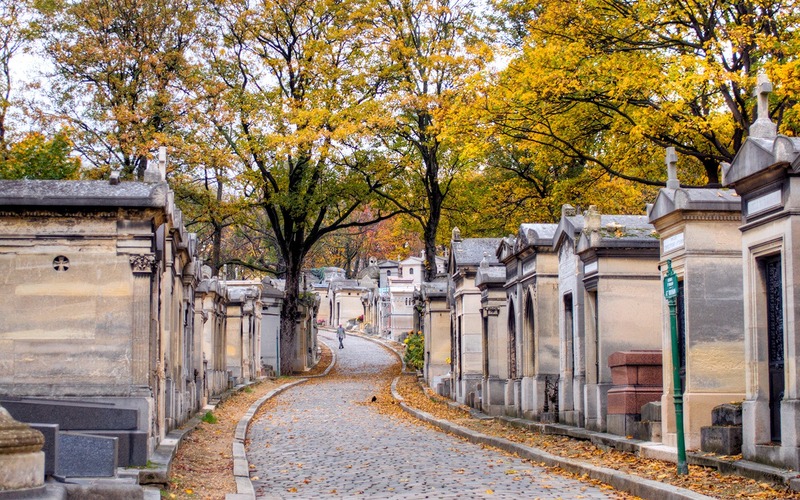 A cemetery isn’t somewhere I’d normally choose to spend my time – in any place other than in Paris. 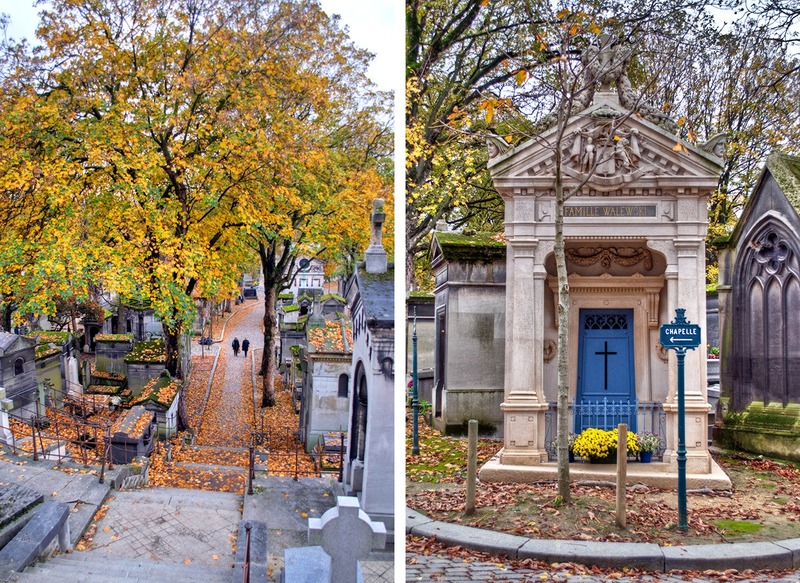 In autumn Paris’ cemeteries ornate tombs, sculptures and stained-glass windows are draped with colourful leaves. Père-Lachaise is the grande-dame of Parisian cemeteries and is the resting place of famous names like Oscar Wilde and Jim Morrison. But it’s just one of several 1800s cemeteries which were built around the old edge of the city. The others in Montparnasse and Montmartre are just as beautiful and you can have them almost to yourself. 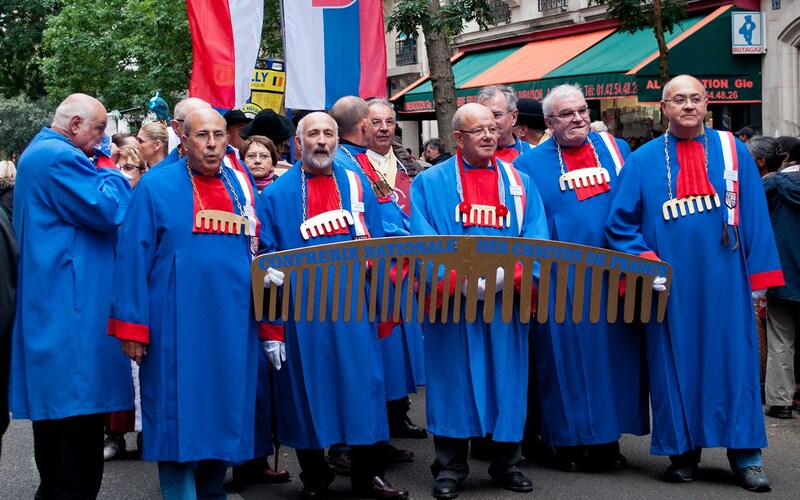 That’s except on 1 November, a national holiday when France celebrates La Toussaint (All Saint’s Day) and families come from across Paris to lay flowers on their ancestors’ graves. The réntree is also the start of a new cultural season in Paris, when a whole swathe of new plays, performances and exhibitions launch. There’s an annual Autumn Festival from October until the end of the year. 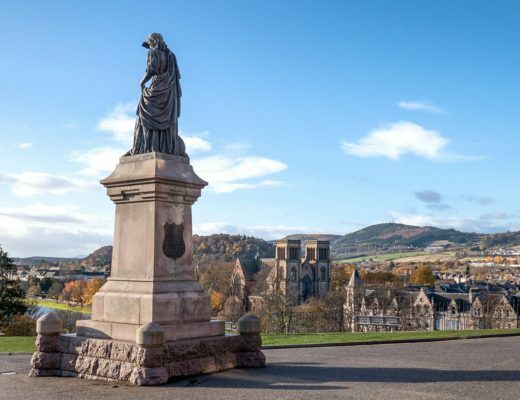 It’s been running since 1972 and has a mixture of different theatre, dance, music, film and visual art events and performances at over 40 different venues across the city. 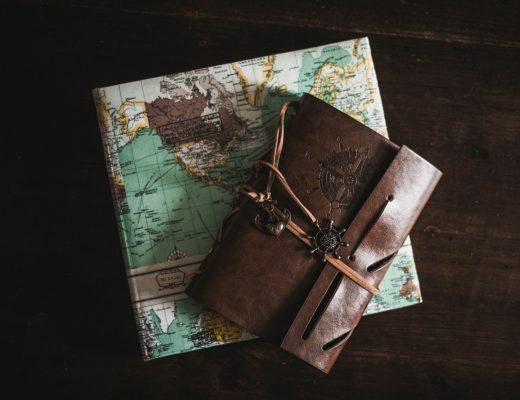 Paris also hosts an annual International Contemporary Art Fair (FIAC) each October (17–20 October in 2019). The fair brings together the work of over 1500 artists from all around the world, ranging from big names to up-and-coming stars. The main venue for the fair is the glass-domed Grand Palais, but it also spreads out into the Petit Palais, Musée Eugène Delacroix, Tuileries Gardens, Place Vendôme and Place de la Concorde too. 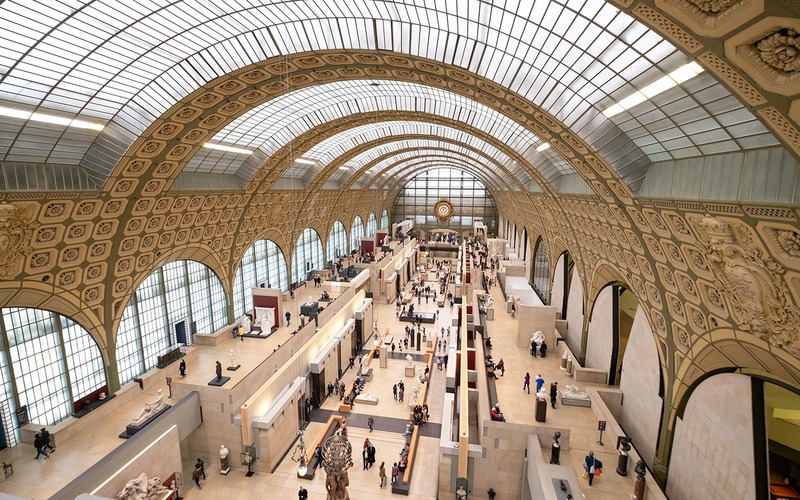 Autumn is also a good time to check out some of Paris’ museums. They often have new temporary exhibitions starting, but they also start to quieten down in autumn after being packed full of visitors in summer. The Louvre never gets exactly quiet, but you can minimise your queuing time either by booking a skip-the-line ticket, or by visiting in the evenings on Wednesdays and Fridays when the museum is open late until 9.45pm. 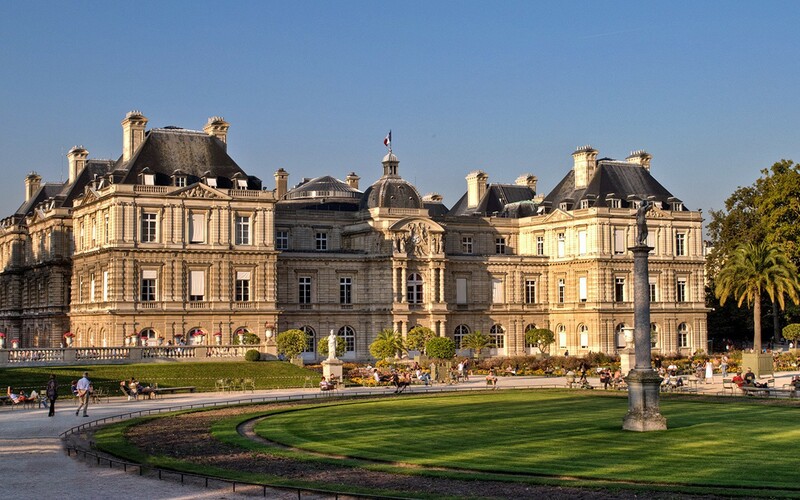 Paris has plenty of other museums to explore too. There are the classics like the Musee d’Orsay with its Impressionist paintings and Rodin Museum with its sculpture garden. Or lesser-known spots like the Musée Cognacq Jay, an art museum in a beautiful mansion in the Marais. Or if you fancy something a bit quirkier, how about a tour of Paris’ sewer system at the Musée des Égouts? 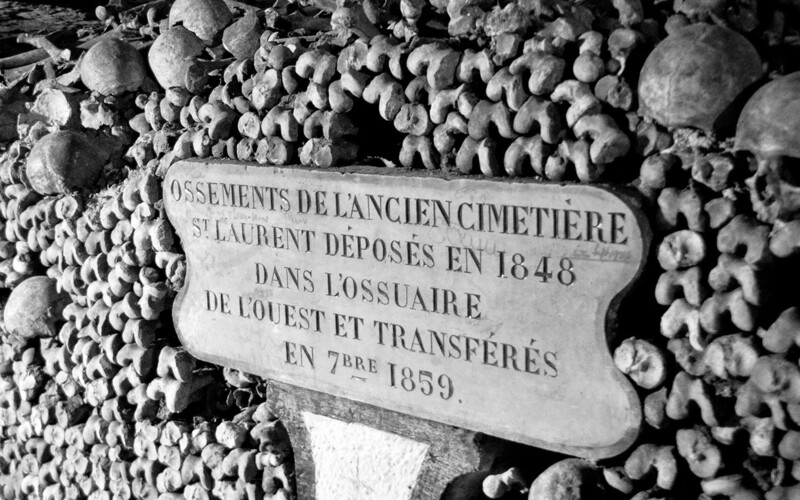 Embrace Paris’ spooky side in time for Halloween with a trip to the catacombs. In the 1780s, Paris was growing so rapidly that its cemeteries were overflowing and there was no room for them to grow. So six million bodies were dug up and moved underground into some of the 175 miles of former mining tunnels that lie underneath the city. Now taking a tour of the tunnels is one of Paris’ top attractions. A stone spiral staircase takes you down into the depths, where bones are piled up in stacks along its dark, damp passageways. Original the catacombs were just going to be a storage area, but in the 1810s they were opened up to the public. There are no individual gravestones – just markers to show which cemetery the bones came from. But the original statues and urns scattered around add to the spooky feel. Autumn is prime hot chocolate season, and Paris does some of the best in the world. 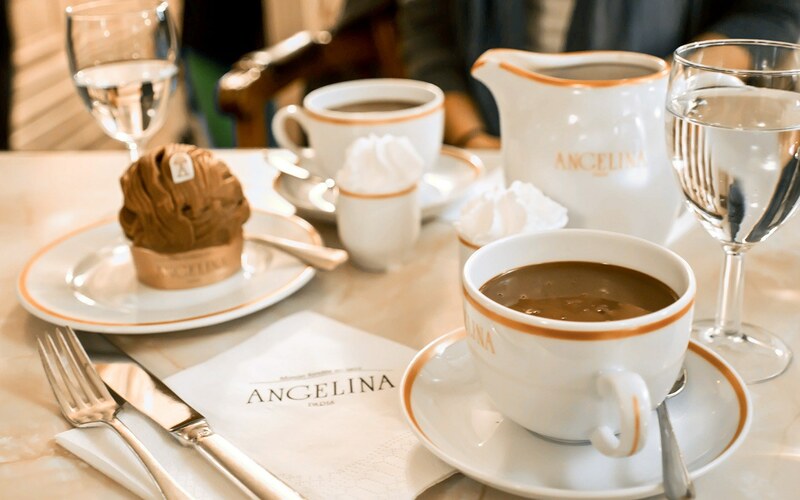 One of the most well-known spots in the city for a good chocolat chaud is the Angelina tea room with its beautiful Belle Epoque building. People queue right out of the door for a cup of their speciality thick ‘African’ chocolate blend. It’s made from a secret recipe and uses a rich blend of cocoa beans sourced from Niger, Ghana and the Ivory Coast. Another of my favourite hot chocolate spots is the Café de Flore in Saint-Germain-des-Prés. It’s one of the oldest cafés in Paris and was a haunt of painters, writers and philosophers in the 1920s. The café’s notoriously grumpy waiters serve you a jug of melted chocolate and another of hot milk so you can mix them yourself and make it as rich and chocolatey as you can handle. Summer in Paris is the time for baguettes, ham, cheese and rosé picnics by the Seine. 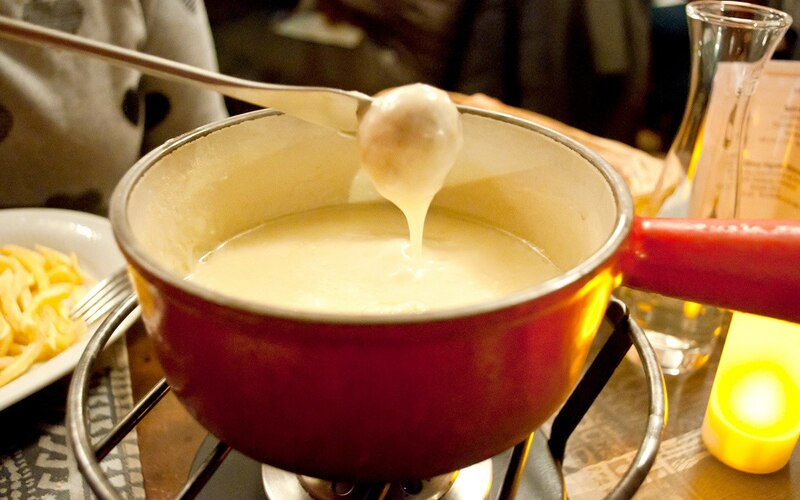 But autumn is the time to feast yourself on all the city’s best comfort food. From warm buttery croissants to steaming bowls of French onion soup, I like to think of it as stocking up for winter! Try warming wintery dishes like Boeuf Bourguignon (beef and red wine casserole), Cassoulet (pork and bean stew) and Gratin Dauphinois (potatoes covered in garlicky cream). 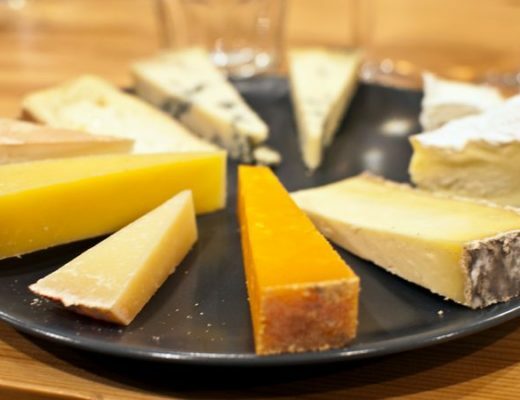 You’ll also find cheese-filled winter favourites like Raclette (melted cheese poured over potatoes), Tartiflette (potatoes, cheese, ham and onions) and Fondue. Parisians like to stretch out terrace season for as long as possible, and many pavement cafés provide patio heaters and blankets so you can sit out in the autumn sunshine with an aperitif and watch the world go by. The cooler evenings are a perfect excuse for a good glass of red wine. And Paris celebrates the new wine harvest with a couple of special events each autumn. First there’s the Fête des Vendanges, a five-day celebration of the grape harvest at Montmartre’s one remaining vineyard which takes place each October (9–13 October in 2019). There are lots of tasty food and drink stalls in the streets around Sacre-Coeur as well as dancing, fireworks and a big parade. It’s a colourful sight as samba dancers, musicians and groups representing different confréries (societies) take to the streets. These societies represent everything from food producers – like strawberry growers or garlic farmers – to the order of bald men, recognisable by their symbol of a comb. There’s also Beaujolais Nouveau Day (21 November in 2019) when you can taste the latest vintage of this love-it-or-hate-it wine in bars all around the city. One of the biggest nights in Paris’ arts calendar takes place on the first Saturday in October (5 October in 2019). 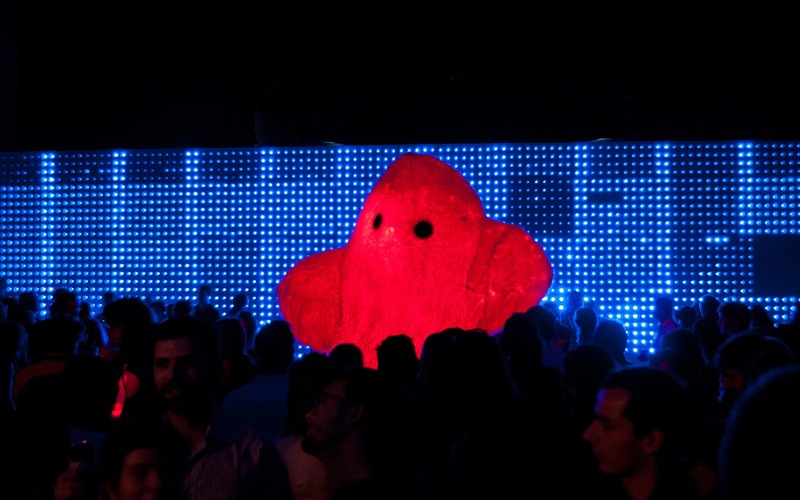 The Nuit Blanche – or White Night – is an all-night festival featuring art installations and performances that’s been taking place in the city for over 15 years. 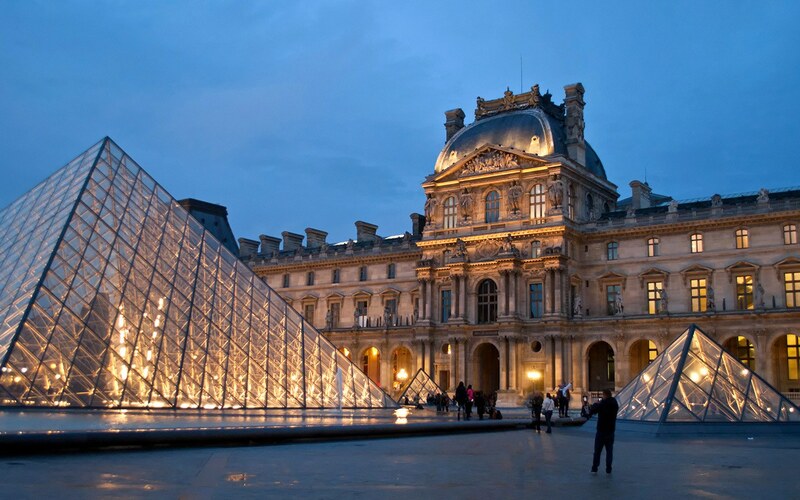 Many of Paris’ museums and galleries are open for all night with free entry, and public spaces are taken over for the night for a range of different pop-up events. There are interactive artworks, music and theatre performances – from the weird to the wonderful – and a real party atmosphere around the city. The event lasts from 7pm–7am so you can keep going until morning, with free public transport running all night to help you get between events. Looking for somewhere to stay in Paris? I was in Paris in October two years ago. It was unseasonably warm and the colours were truly beautiful! It was really warm when I was housesitting too – I had to go and buy some summery clothes as I’d just packed jumpers and boots! The hot chocolate is really something, you need a spoon to get through it. 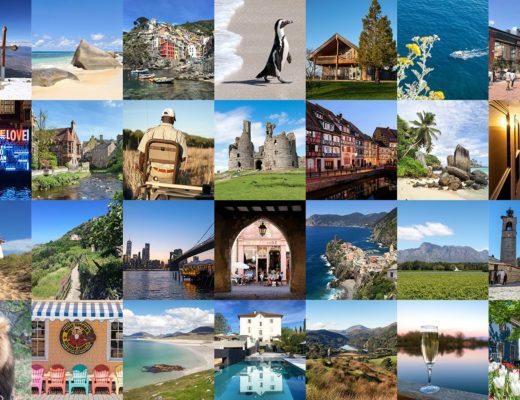 Have an amazing trip – hope you get lots of gorgeous autumn colours for it! 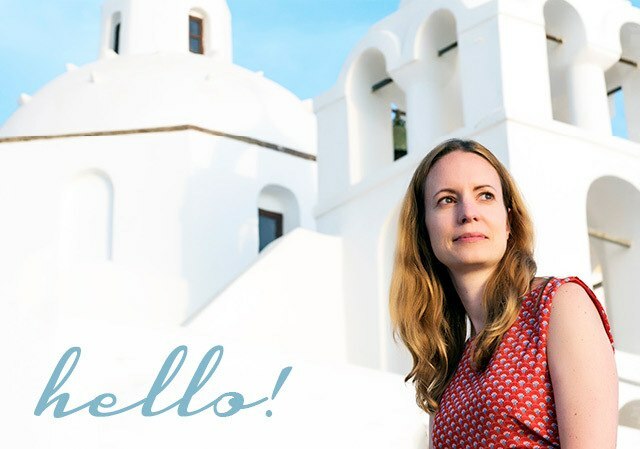 Hope you enjoy it – and I think spring’s a totally acceptable time for hot chocolate too! It’s gorgeous in any season though! I’ve never visited Paris in this kind of season but I wish I could. Love this autumn photo of Paris. Thanks so much, it’s a beautiful time of year! Beautiful photos. Fall seems like the perfect time to visit. I went in spring and had champagne and sorbet at Angelina, but would gladly try visiting with crisp air and foliage when I could switch champagne for hot chocolate! Champagne and sorbet sounds pretty good too. I don’t think I’ve done a proper Paris trip in springtime so I’m clearly going to have to remedy that soon! Beautiful Lucy, just back from Summer in Paris and you are now making me feel ..shh I should have waited a few more months and gone in autumn instead. Lovely pics. Thanks Rekha. You can’t really go wrong with Paris at any time, but I do have a special fondness for it in autumn!